N-body cosmological simulations are an essential tool to understand the observed distribution of galaxies. They provide all order statistics about dark matter and halos. In the paradigm of the flat Lambda Cold Dark Matter cosmology recently measured by Planck, an accurate description of the mass function is necessary to interpret large scale structure measurement. In this aim, we use the suite of MultiDark simulations, run with the Planck cosmological parameters, to revisit the one-point function. We study two flavours the halo mass function and the velocity function. 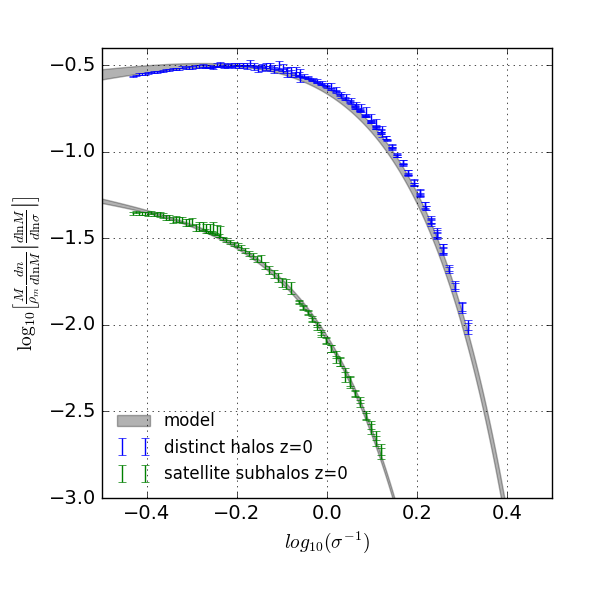 We study in depth the model of the halo mass function, its covariance matrix and the large scale halo bias, which are tightly interconnected. 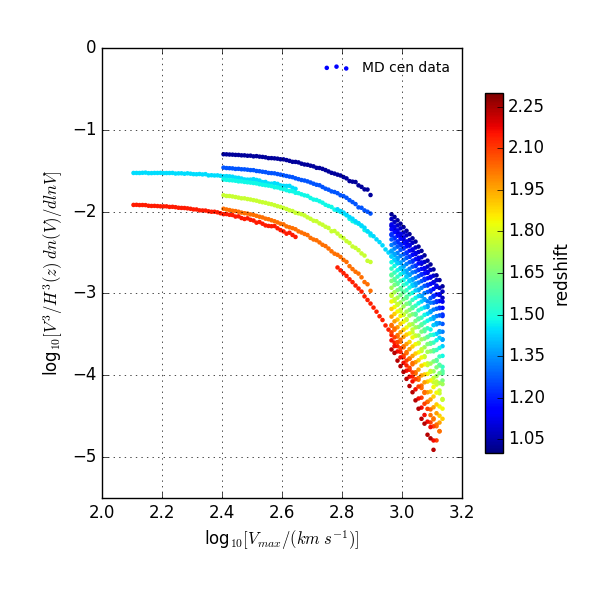 We obtain accurate (2 percent level) models of the distinct halo mass function, its covariance matrix and the large scale halo bias. Furthermore we provide fits characterizing the subhalo massfunction and its relation to the distinct halos. Finally, we provide precise analytical fits of the Vmax velocity function until redshift 2.3. Please click here to access the 1-pt functions measured.